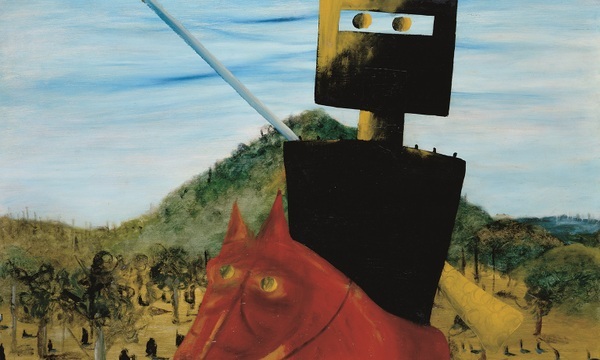 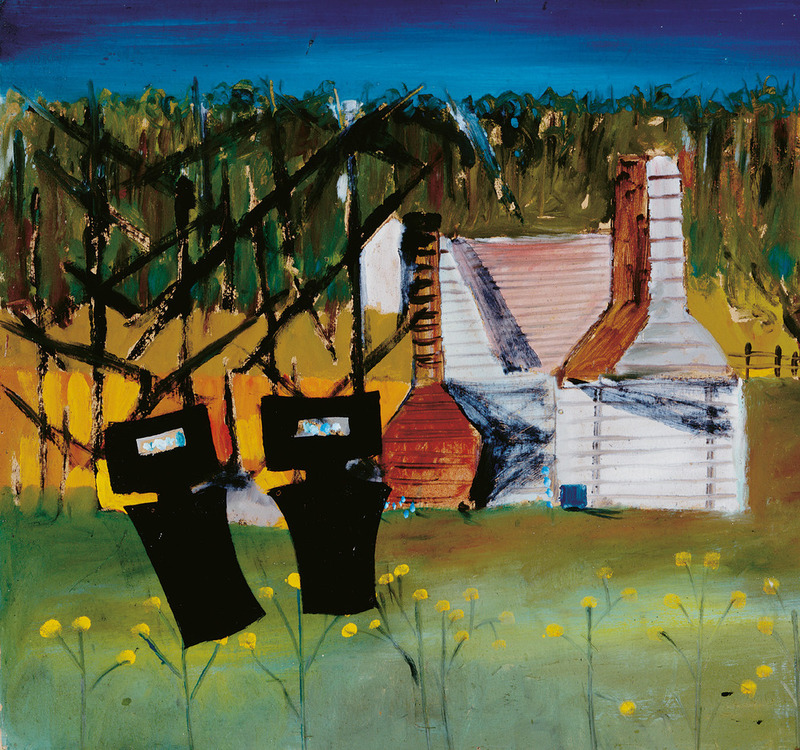 See Sidney Nolan’s paintings and imagine the bush when Ned Kelly roamed with his gang. 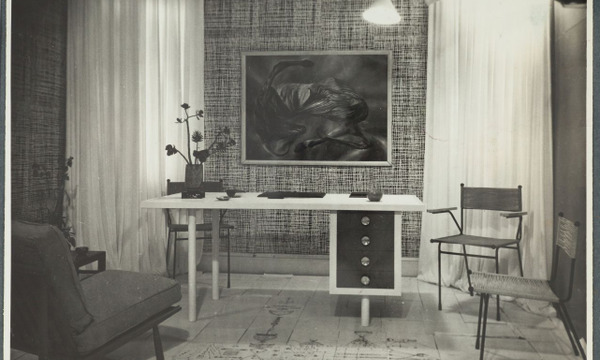 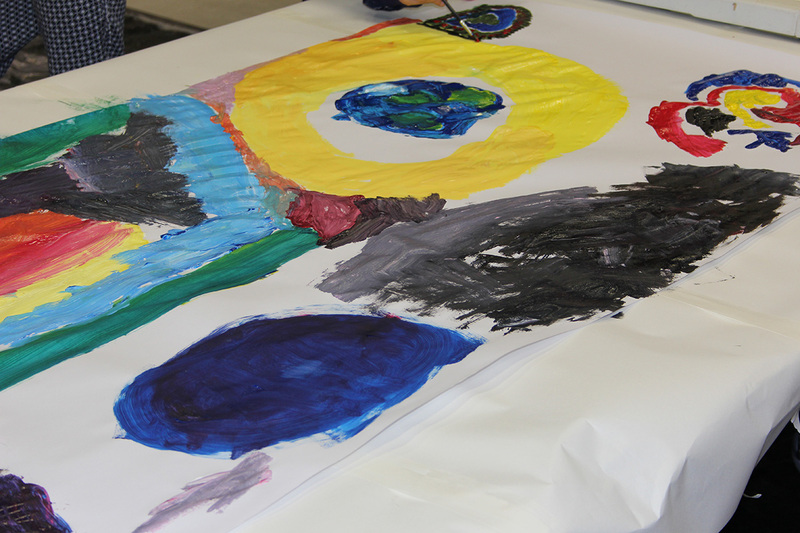 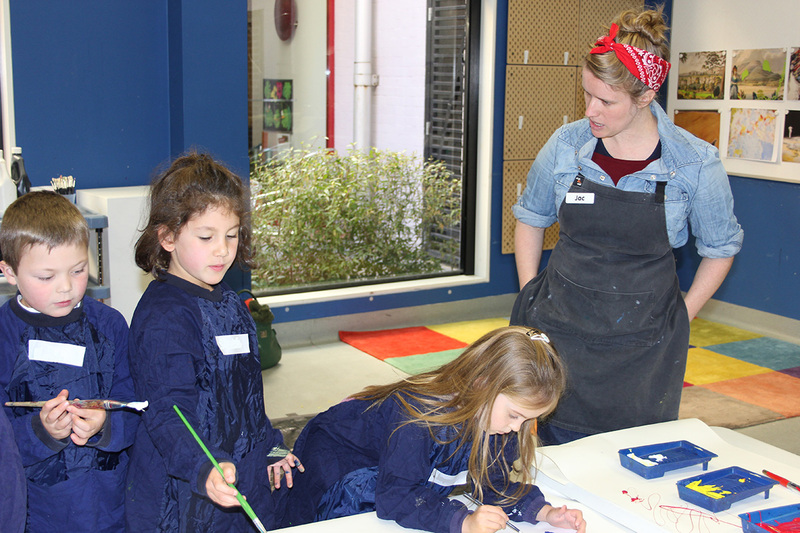 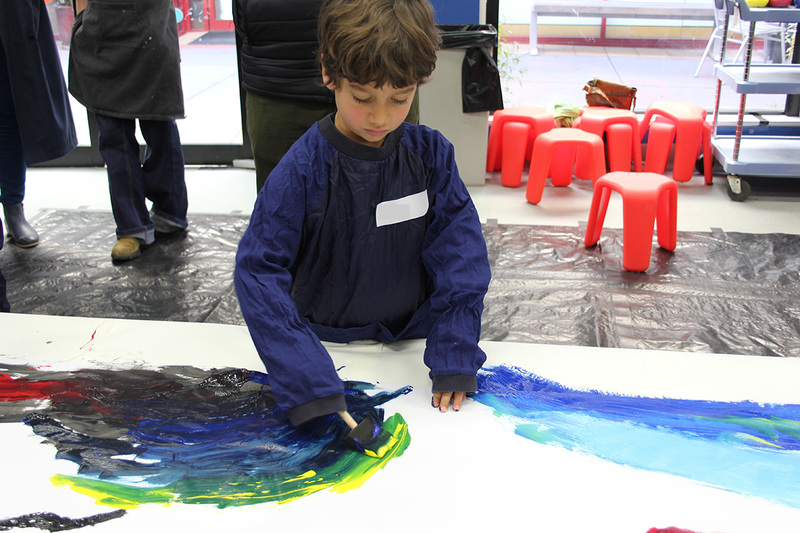 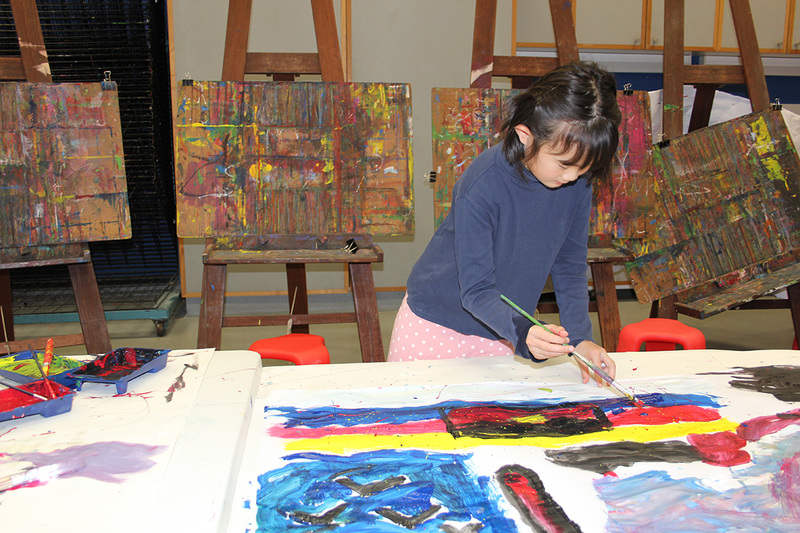 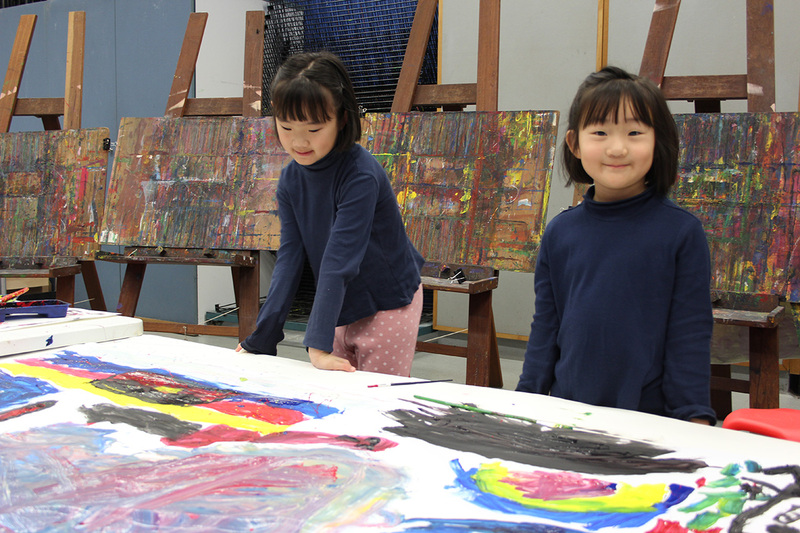 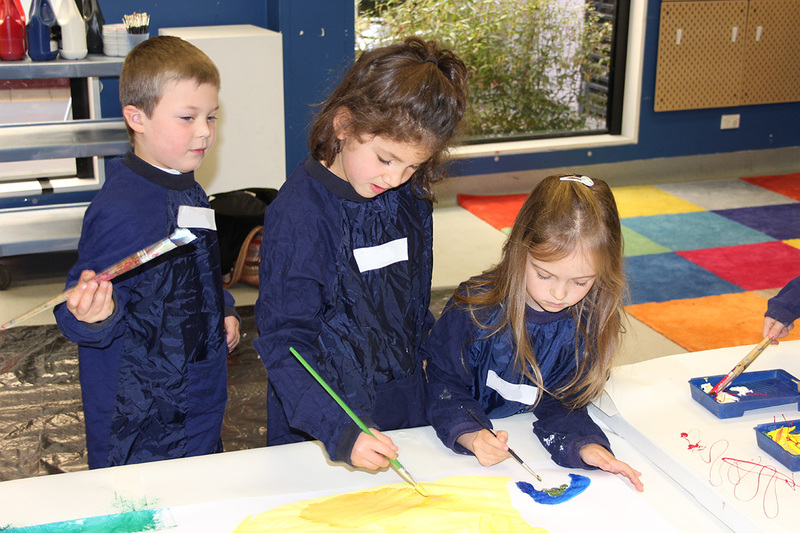 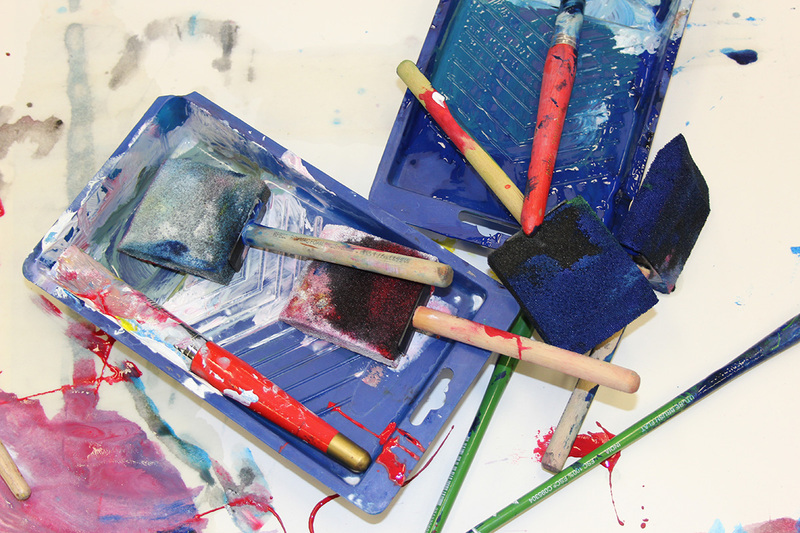 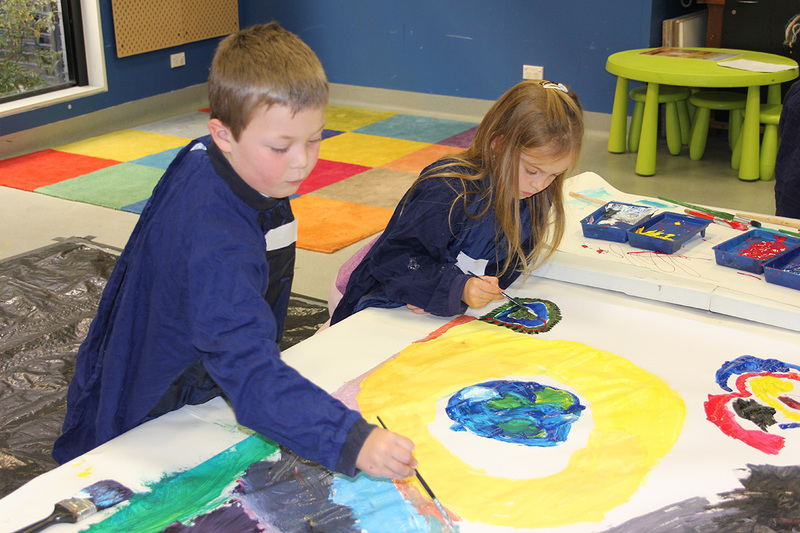 Then bring those sights, shapes and colours into the Studio and collaborate together on a mural. 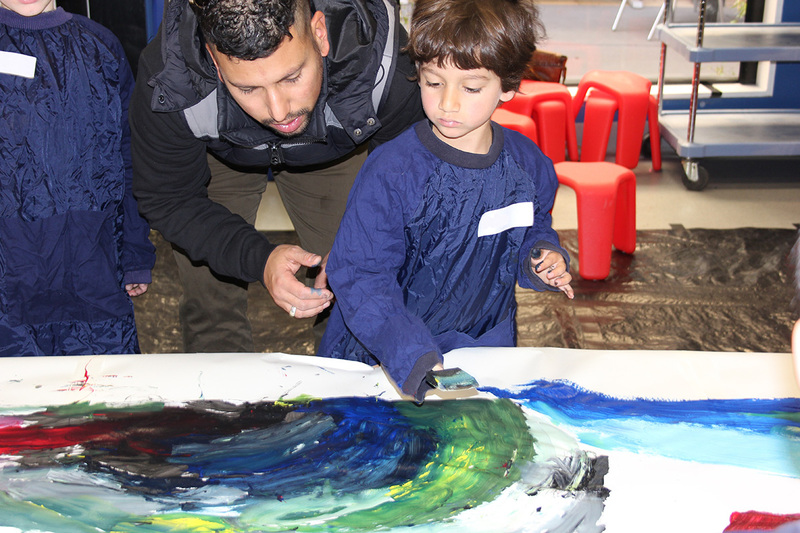 Watch this video to see painterly details of a collaborative mural created by children during CMAG on Sunday.